About us is that we provide a very useful and reliable taxi service from coventry for our clients who require affordable, reliable, transportation. Especially for long distance taxi journeys from the coventry & surrounding areas. We care deeply about the service that our clients get, when they book whether it is through our website, or by calling us directly, whether they have just arrived or whether they have been just dropped off. We are licensed by the local council office and our vehicles are clean, modern and air conditioned. Taxi near coventry are holiday transport specialists. Why take your car or trouble a friend or family member? All airports offer open air parking at ver high costs. birmingham Airport parking can be £75+ for two weeks – a taxi can be half that price for taking you and picking you up. Phone us now for a taxi quote now. You will be surprised at how much more cost effective using our coventry taxis will be. If you give us your return flight number we will monitor to see when your flight has landed, if it isn’t we will re-arrange your minicab or 6 seater taxi for when your flight has arrived, at no additional price. If more than two people are traveling. Taxis can quite often be cheaper than trains and buses, they also pick you up and drop you off door to door. We welcome Warwick University & Coventry University students that have plentry of luggage to transport. 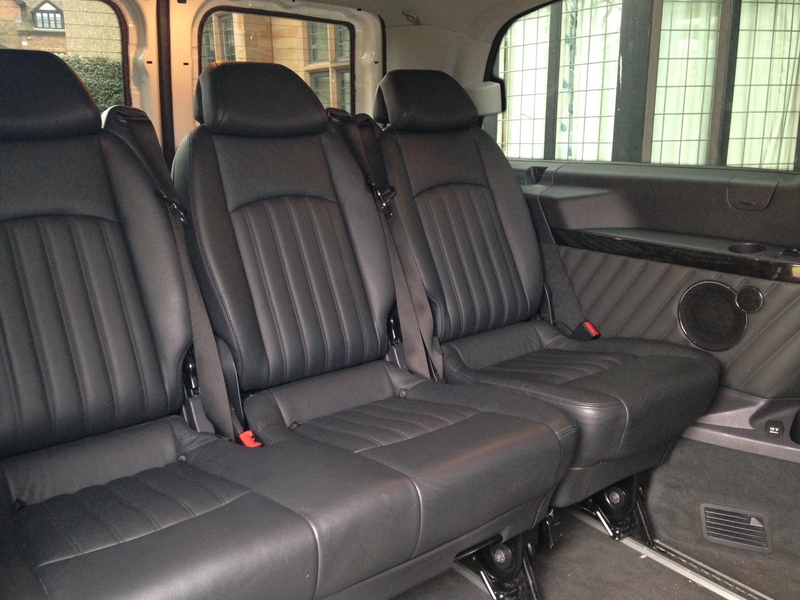 Our 7 seater coventry taxis have plenty of space. So call us now for a fixed coventry taxi price. When travelling abroad to a big country, like England you may be interested in visiting some historical cities like Coventry. However, some people may question whether or not the city has easy transportation for tourists. Fortunately, Coventry taxis numbers provides its best services for all the people who will come to the lovely city. The cab company has a number of great cabs which are ready to be used every day to serve tourists and people of Coventry. What makes Low Cost travels Coventry different from others is that the company offers reasonable price with high service standard. You can call our cab for a long distance journey. The booking process is easy and does not take you a long time. You can call our taxi numbers through our website or just call us directly by using the phone number provided there. We take our customers seriously whether they book by call or website. We only provide clean, modern and safe cabs. In addition, Taxis Coventry is licensed by the local council office. This is a proof that our company has best services for all people. The reliable and easy services are the main reasons why the company has been successfully gaining fame and has a lot of loyal customers for years. Coventry cabs numbers knows that our customers consist of people with different cultures and ages. That is why we offer many services for them. We want to amke sure that we can fulfill each customers need. Airport transfers are one of our favorite services. In holidays people may find it difficult to find public transportations. Some of them may think that asking their friends or family members will be more effective than using our Coventry taxis. Well, it is not true if you know the truth. The parking fees at the airports will be very expensive. Besides, if you are planning on calling your family and friends, you will need a long time until they get to the airports. It will be wiser if you just call our service now and find out more about us. you will be surprised at how reasonable our price is. Our staff will monitor you if you give your return flight number to us, so that we will know whether your flight has landed or not. We can also arrange minicab for you. Those services come with no additional price. The number of the passengers will influence the price. Find out more about us on our Coventry minicabs service, the price will be even cheaper than using trains and buses. Our Coventry taxi can also pick you up and drop you to any places that you want. We also have university taxi service for those Warwick University and Coventry university students who need safe transportation with large free space. The university students are likely to get student discounts, so it is better if you, university students, choose our service as soon as possible. Coventry taxis are indeed the best cabs service you can get in the town. Call us now on +44 7951 791880 +44 2476 95956 (overseas) or use our online QUICK QUOTE form to book your transport.